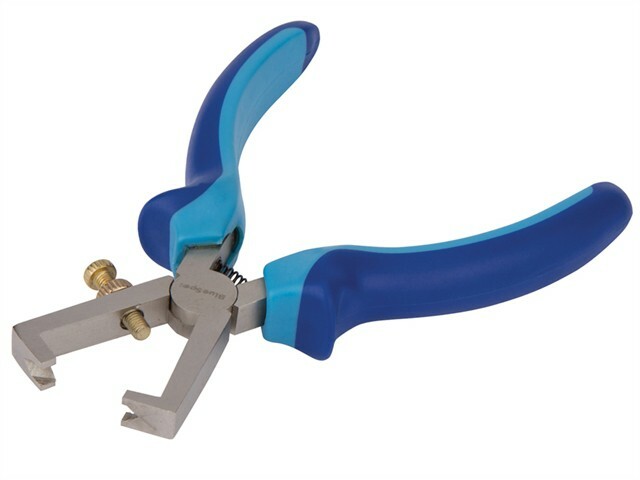 The BlueSpot Wire Stripper Pliers are manufactured from drop forged micro plated steel for increased durability. They have a satin finish. Features soft grip vinyl handles with slip guard for increased comfort.